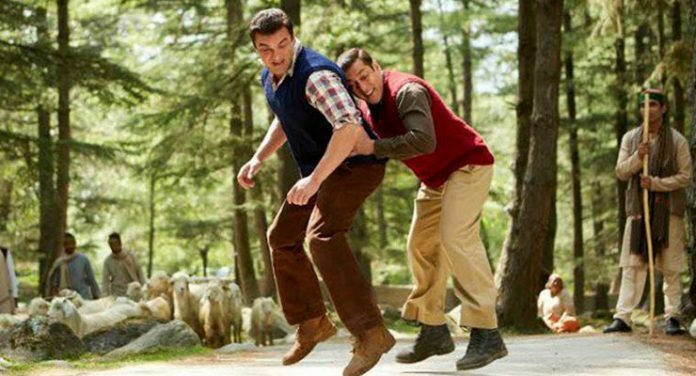 Film critics might have slammed Salman Khan’s Tubelight, but the fans of the actor have given a thumbs-up for the film and has done a good business at the box office. The film released in theatres on June 23, 2017 and after a week, the film has managed to register its name into the Rs. 100 crore club. A popular daily has revealed that the film has minted Rs. 106.50 crores during the first week and was released across 4,400 screens in India. Manoj Desai, a film distributor revealed that the Salman Khan starrer film has faced poor collections and many shows have been cancelled at some of the multiplexes but many of the cinemas and other single screens have not shown any effect and none of their shows have been cancelled so far. It is being predicted that the film was promoted well, but the harm was done by the movie critics. The actual reason behind the failure of Tubelight has not been known but the audience could not convince themselves to watch such a side of Salman. The film is directed by Kabir Khan and also stars Om Puri, Chinese actress Zhu Zhu and Matin Rey Tangu. Salman is expected to return with a bang with the film Tiger Zinda Hai.